So today I listened to the upcoming Robyn and Royksopp collaborative EP, entitled Do It Again. It comes out here in the UK on Monday. I was very much looking forward to this release as I do like both artists. They seemed to be a potential match made in heaven. My expectations were met and then some. It’s already one of my favourite releases of 2014! Each of the five tracks are very strong and boast their own individual sound, yet fit together seamlessly. There’s a brilliant floor-filling single in ‘Do It Again’ and a beautiful, rather ambient instrumental called ‘Inside The Idle Hour Club’. It’s a varied EP that covers much ground in its 35 minutes. The strongest track on offer here is the pulsating ‘Say It’, which was released this week as the second single from the EP. It’s dance music at its most gripping and hypnotic – the best dance track of the year so far. Do It Again as a whole is far from formulaic electronic music. The only downside to it is that it’s just an EP and not a full length album. It really does leave you wanting more! Given that this isn’t the first time Robyn and Royksopp have worked together, I hope that all signs point towards them releasing a full album together sometime in the future. They’ve got a brilliant musical chemistry which is superbly demonstrated on Do It Again! I thought I would take a moment to acknowledge this excellent song. I was listening to Please earlier, the debut album by Pet Shop Boys which I haven’t done for a while. In doing so I remembered just how much I love Two Divided By Zero (the opening track). It doesn’t have the finest melody you’ll ever hear on a Pet Shop Boys album and it does sound rather dated. Crucially though it does have great lyrics. Here, the song’s narrator wishes to run away to New York with their lover. Hardly a cutting edge concept but what elevates the lyrics is the metaphor of two being divided by zero. Firstly, two divided by zero is mathematically impossible. You can’t divide by nothing, and nothing divides this couple. The idea of something being divided by nothing is a ludicrous concept, as is the idea of the couple not being together. It’s an incredibly clever – not to mention unconventional – spin on things. And really rather romantic too. Both of the Boys acknowledge that it’s this song along with Love Comes Quickly that came closest to the sound they were trying to achieve with Please. It’s actually Neil Tennant’s favourite song on the album. It’s certainly one of my favourites too! I’ve been listening to a lot of new music today, including some albums from 2013 that I still hadn’t heard yet (the shame). One of these albums was Sky Ferreira’s Night Time, My Time. I really enjoyed the album. I enjoyed it so much that I’ve actually put in a rather last minute pre-order for the upcoming physical release of the album here in the UK. It’s due for release here on January 28th. I’m really looking forward to owning it physically and hearing the Ghost EP which comes as a bonus disc on the limited edition. Anyway, on an album without no real weak spots, Kristine is a definite standout. I just love the meshing of styles on the song. Well, it’s prevalent on every song on Night Time, My Time but it definitely is just that bit more dominant here. Kristine has very fuzzy sounding guitars – think The Jesus and Mary Chain style – but with a definite synth-pop undercurrent. It’s a very rich and layered song: listening to it on headphones is a very rewarding experience. The chorus is also the most memorable hook in an album that has lots of hooks and catchy moments. An excellent song indeed – and Night Time, My Time is a belated addition to my albums of 2013 list! One thing I love about music is how, out of the blue, you can discover a gem. Well, in this particular case it was a friend that discovered the track and recommended I listen to it. This was only a few hours ago actually. So, intrigued by the recommendation I listened to it and absolutely loved it! It’s called Fall In Love and it’s by Phantogram, who are an electronic indie-pop duo from New York. So far, they’ve only released one album – called Eyelid Movies – in 2009. However on February 18th they are scheduled to release their second album titled Voices. Fall In Love is one of the tracks from the album. It sounds vaguely electro R & B to me with a generous amount of 80s synths. Strangely enough I listened another Phantogram song, called Black Out Days (also from Voices) and it didn’t have that slight R & B tone to it. I really liked it too though, they’re definitely a band I’m going to explore more. So far, they’re the only two Phantogram songs I know but I’ll definitely listening to Voices when it’s released! Back to more familiar musical territory for today’s 2013 highlight. 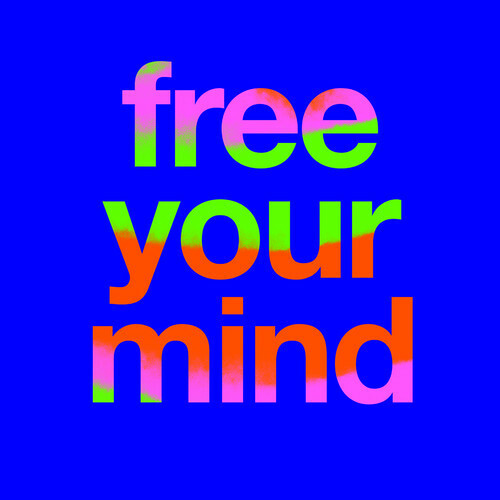 I think Cut Copy are excellent and Free Your Mind is their best album yet. It’s an irresistible homage to the Second Summer of Love. It sounds very authentic which is incredible considering they’re an Australian group. Meet Me In A House Of Love is one of the best dance songs of 2013 with its pounding synths. It’s my favourite Cut Copy song. It’s just so damn enjoyable. It’s such a climatic dance song, no wonder it’s been serving as an encore on Cut Copy’s current tour. It’s got such a magnetic pull and it demands repeated plays. Definitely one of the most addictive songs of 2013! Two days ago (finally) the postman delivered the Thursday CD single. I was very eager for the single to arrive as I hadn’t heard a note of either of the two new B-sides. I’m a few days late with this post – I’ve had an exceptionally busy week. Thankfully normal service can resume now. Anyway, here’s my thoughts on the new B-sides. My first thought when I heard this was “Wow – classic Pet Shop Boys opening”. The very first opening chords remind me a little bit of Play-era Moby actually. I was skeptical about No More Ballads initially because Neil had described it as “Our Rihanna hit she hasn’t recorded yet”. I was expecting No More Ballads to be a pacy electronic song, very Electric in style. It couldn’t have been more different. It is in fact, a ballad. Moreover, it’s potentially one of their best ballads in years. No More Ballads doesn’t have the dour heaviness of Invisible. In fact the music is pretty light really. The lyrics though are chilling. It’s sung from the point of view of someone who has been badly hurt in a personal relationship with a singer. The narrator views this singer as a joke and questions how can they sing lovely songs yet behave in such a despicable way. The song could be referring Rihanna and her relationship with Chris Brown. It’s a very strong possibility. I have to say I love the concept for the lyrics in No More Ballads. Very inventive and quintessentially Pet Shop Boys. There’s an allure to the song. What a shame it’s just a B-side given it’s quality. Definitely a very worthy addition to Pet Shop Boys discography. I can’t say I’m a huge fan of this. That’s not to say it’s a poor song by any means though. It starts off on a similar down-beat tone to No More Ballads. It’s got quite a classic Pet Shop Boys feel too. The song is essentially about the trials and injustices faced by a homosexual in 1961. It’s also inspired by the film Victim (from the same year) which was a pioneering movie regarding homosexuality. The portion of dialogue sampled at the end of Odd Man Out comes from Victim actually. The melody in the song is a little strange – especially the chorus. The chorus actually grates on me a little bit. What doesn’t help either is that the song’s lyrics don’t speak to me. I can’t relate nor connect to the song in any way. That’s the main reason I can’t get into the song. It’s just too far removed from my own experiences . It’s not a question of quality as such. It’ll never be an all time favourite Pet Shop Boys song for me, but I can definitely appreciate it. That’s my two cents, for what it’s worth. I still think Get It Online is the best Pet Shop Boys song of the Electric era. I think No More Ballads could become a favourite for me however. Sadly I think that may be it in terms of Electric singles and thus B-sides. Thursday is the third (arguably fourth) single from the album, which was the same amount of singles released for Elysium. I hope I’m wrong though – we’ve only had four Electric era B-sides whereas Elysium generated nine. Only time will tell though. Well, this is an unexpected gem I found today. It’s called Genesis, from the album Visions by Grimes. I’ve been aware of her for about six months now. I had tried to get into her by listening to Visions (her third album). At the time I couldn’t get into it at all. I wanted to, but it just wasn’t happening. I only could manage a handful of songs before (foolishly) deciding she wasn’t for me. The weird thing is I would have heard Genesis before as its on the album, but I honestly couldn’t remember it. When I heard it today, I felt like I was hearing a new song. Well I guess I was in ways, because of the shift in my perception of said song. It’s amazing what that can do. This is just postively engrossing to listen to. Atmospheric, and it sounds like it’s from another realm. Utterly beautiful. It’s really made me think that I gave up on Grimes too soon. In the coming days I’m definitely going to properly give her albums a fair chance. I also really love her visuals. I always have to be honest. As a little cherry on top of the cake, we both share the same first name. Her full name is Claire Boucher. I’m a Claire too, although I spell my name as Clare. Anyway – I’ll be sure to let you know how this re-listening process goes!